Can you give me alittle more info on the orange juice/pulp? How is this done? Are we using a whole orange, or orange juice like we drink? This looks yummy!! Can’t wait to make them. I’ve been waiting to find a good orange cupcake recipe without chocolate. Is there a substitute for orange extract? Curious as I don’t want to buy an ingredient I’ll rarely use. Your cupcakes always like so yummy. I want to know how much grams represents 1-1/2 packages of Philly. Here we have packages of 250g or 500g. ( excuse my english). Delicious! I have a 3-citrus marmalade that my husband picked up for me that I might just need to sacrifice as a filling for cupcakes! 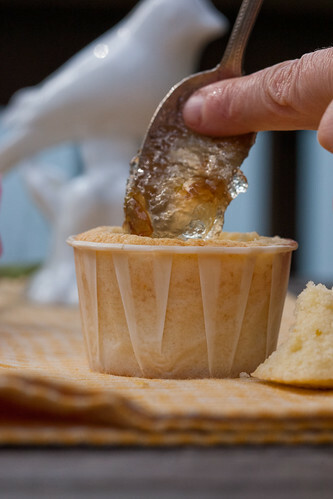 I’m a new reader, so maybe you have answered this before, but where do you find your great cupcake molds?! I usually use the brown parchment If You Care cups, but love the look of these for a change. 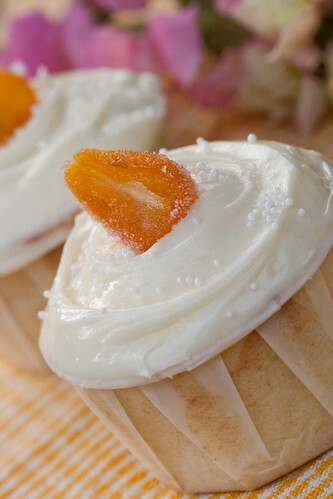 I look forward to making many of these recipes, and especially these orange-y ones – they look really tasty, and you can’t go wrong with cream cheese frosting! I wonder if these would taste anything like the cupcakes I’m searching for…except I’m not really sure there was any orange in the cupcake. Haven’t had it since I was a child. 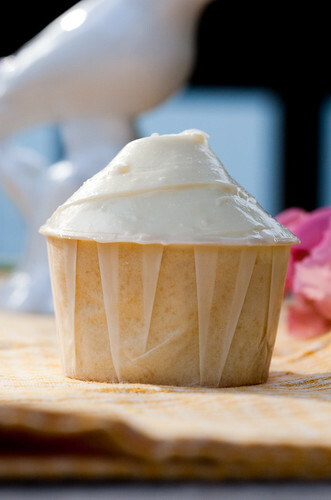 The same or not, who really needs an excuse to bake a new cupcake? You make them look so pretty and tasty. These cupcakes look/sound devine! 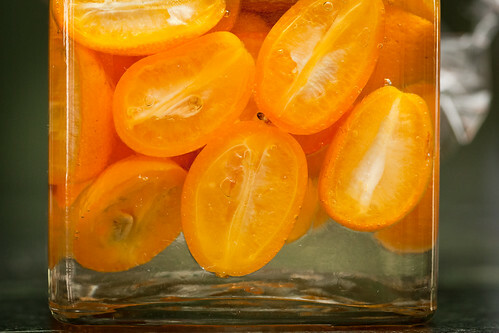 I love the candied kumquats too – what a wonderful idea. I plan to try some soon on a hazlenut and orange cupcake I’m working on! love the look and sound of these! 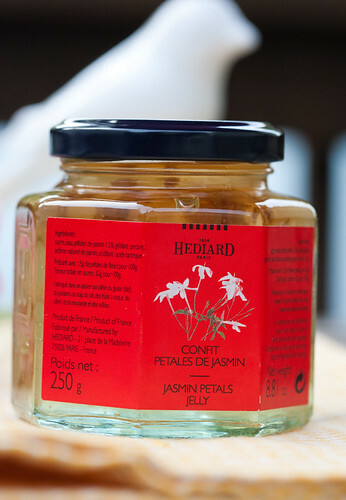 lovely combination of ingredients, petal jelly, creamcheese frosting, orange and kumquats? amazing! Hi! Just wanted to thank you for this recipe. I made them and they are SUPERB. My husband loves orange and he adored this. I usually don’t like orange-flavored breads or cakes, but these are AMAZING. I loved them too. Thank you again! Love your site, it’s so inspiring. I came here specifically looking for an orange cupcake recipe. I’ll try these out for a friend’s picnic on Saturday! Love your blog – I’ll be back soon. They were awesome – photos and a link to your recipe on my blog. I just made these for my best friend’s birthday–she’s obsessed with the color orange, so I figured these were appropriate. I made them sans filling, since she’s not too big on weird flavor combinations, but they turned out fantastic anyway! I’ll be bringing them to our class together tomorrow for distribution, so I hope they’re as big a hit with our classmates as they were with me right now! Can you please tell me where you buy those CUPCAKE CUPS that are pictured? I don’t like the little paper ones that you buy in the store. These look much more sophisticated. The only things I can find are paper ‘souffle cups’ by SOLO, but I am not sure of the size- the 4 oz. or the 5.5 oz. It is hard to find suppliers. Any help you can give me would be great! Thanks. I don’t know what SOLO brand is like. Some brands have a waxy lining which isn’t good for baking in. The genpak doesn’t have the wax lining, but they are hard to find. This is the only supplier I know of that sells them in sleaves of 250. As always, I can´t wait to make it! Congratulations, I love your blog.